A few weeks ago we got an adorable invitation in the mail. 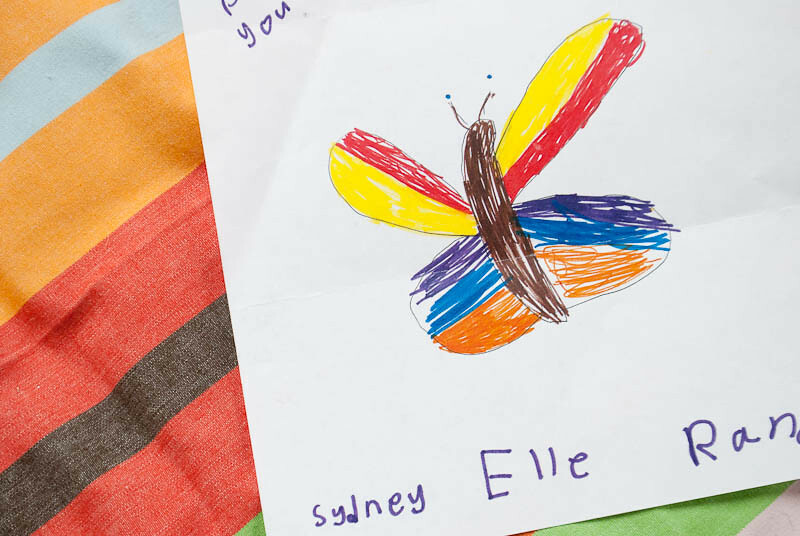 It was so sweet, the birthday girl made the invite herself and then mom color copied them. I loved it. 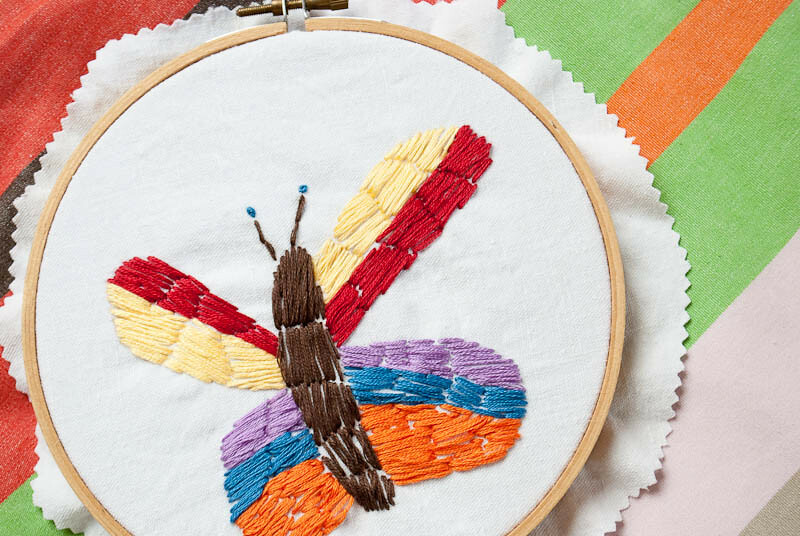 I was especially taken with the butterfly she drew, when I saw it I was instantly inspired to get out my stitching, so I traced it and stitched it for her birthday. Happy 6th Birthday sweetie! OH MY GOSH...you are THE most thoughtful person on the planet. No joke. What a lovely treasure for her to receive. This is so thoughtful! Love it! Tears in my eyes...and oh the joy on the birthday girl's face upon opening your beautiful gift this morning. Touched beyond words. Wow, that is an amazingly thoughtful gift from one creative gal to another. No doubt she will treasure that. That is so cute and you are so thoughtful. Amazing gift! Alexis, this is such a sweet gift idea! I'm sure she's going to be thrilled -- and the best part is that she'll treasure it her entire life. Happy weekend!! Wow! What an adorable idea for a gift! What a darling Gift! I love how your mind works, so thoughtful. Speaking of mindworks, I finally figured out what to do with my wing back chair: Im having it reupholstered in my husbands Burberry Trench! Could you be a little more creative? I mean seriously this has to be the cutest, not to mention the most thoughtful thing ever!!! That is absolutely darling! It's the perfect gift for her. I know you're going to make her day. What a wonderful gift. Such an AMAZING idea! best gift i've ever seen! That is beautiful and amazing...wow. i am so crazy about this i can't even stand it. Wow, that is such a special gift!!! Beyond creative and super thoughtful.